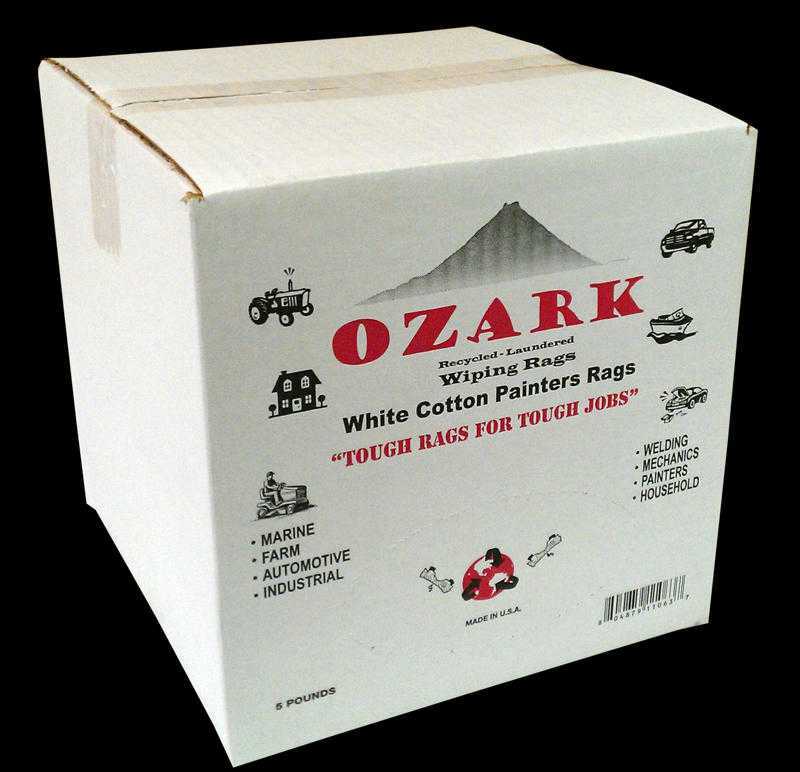 A very soft and absorbent cotton material cut from white T-shirts and other similar knit apparel. 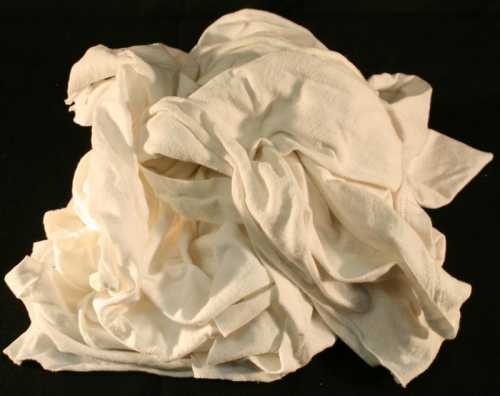 White only, very low lint and soft. 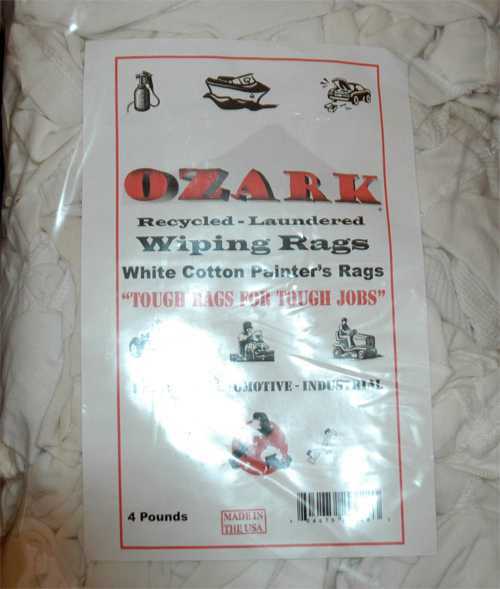 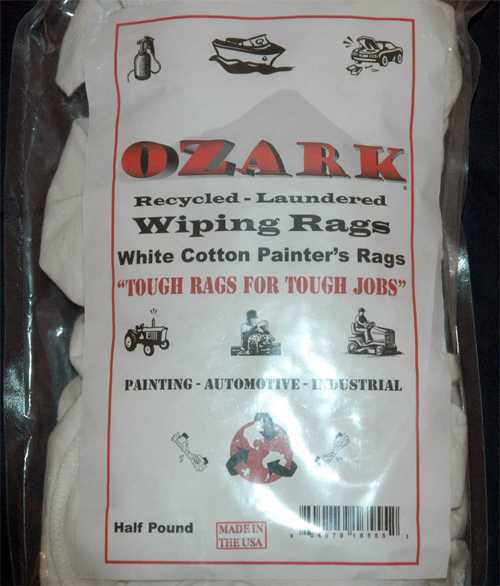 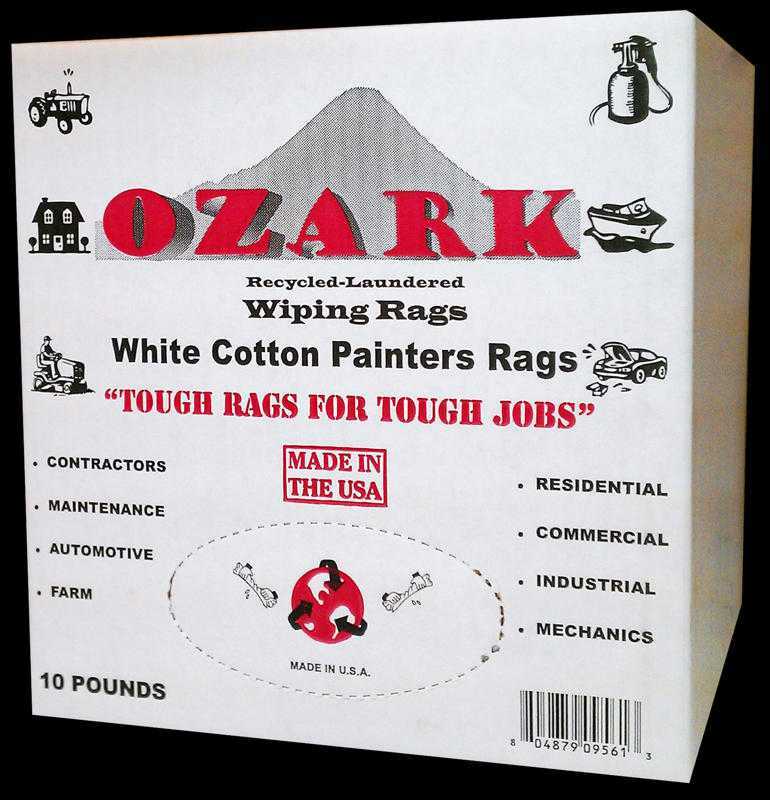 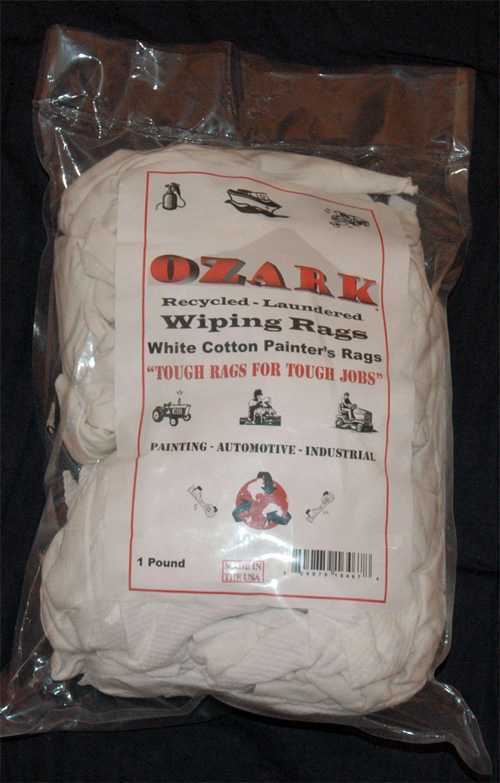 A perfect painting and staining rag.